We now pick up where we left off in the previous article in this series, and will wrap it up. To recap what was covered in The MOTHER of HARLOTS EMERGES - Part 4a, let's address an issue discussed by Emergent Church leader, Brian McLaren on the subject of the kingdom of heaven, and what Jesus meant by this term. Jesus emphatically stated that the way to heaven and our Father who dwells there, is through Him and Him alone (JOHN 14:6); everywhere in the New Testament, which Mr. McLaren claims he’s based his assertions on, we see that the Kingdom of heaven is inaugurated, NOT by His church, or through the actions and plans of Christians, or by a global religious movement, but by the LORD Christ Jesus Himself: MATT 24:30-31; MARK 8:38; LUKE 18:8; 2 THESS 1:7-10. In the previous articles (parts 1-3) we delved into various aspects of the “Mother of Harlots” that is, the one world religious body as prophesied in REV 17, and how different ecclesial forces are melding together. Two of the primary forces that are acting as catalysts for the emergence of the Mother are the Roman Catholic Church and the Emergent Church Movement. There is a third force as well, one that has been a part of our society for about thirty years, the New Age Movement (more often today referred to as the New Spirituality).You will find that as you read the writings of New Age leaders and their Emergent Church counterparts, what they have to say on particular matters is virtually identical. Some therefore conclude that the ECM is simply the New Age Movement dressed in evangelical clothes, while still denying the fundamentals of the faith (The New Age Movement is likewise old ‘Babylon-ish’ occult technique dressed up as well as 'cutting edge' spirituality). The difference is that New Age dogma used to be a fringe element in our society; today Emergent church beliefs and practices are quickly becoming a majority voice: a kind of spiritual tsunami sweeping over the landscape, and it will wreak ruin and destruction for fundamental, biblical Christianity as far as its overt presence and viability where this nation is concerned. I received some very interesting news today regarding an enormous protest rally that took place in the streets of Jerusalem. I don’t know about you, but I didn’t here about this through our national news media. I think it’s important enough to post. 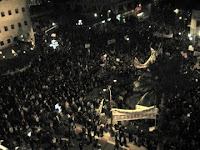 According to Israel News Network, there was a large scale rally against the United States Polices with regards to Israel. The protest was held in downtown Jerusalem organized by various residents and committees of Binyamin and Samaria and others. The Obama administration has made it clear that Israel must stop building of all types throughout Judea and Samaria, as well as in parts of Israel’s capital city that were liberated during the Six Day War of 1967. In foreign policy, President Barack Obama has demonstrated a disturbing propensity to curry favor with Israel’s adversaries at the expense of her friends. The Czechs and Poles are rightly concerned that they will be sacrificed on the altar of better U.S. relations with Russia. And the Israelis fear that the Obama administration’s desired opening to the Muslim world will be achieved at their expense. Mr. Obama’s attempted bullying of Israeli Prime Minister Benjamin Netanyahu is a case in point. Mr. Netanyahu was sworn in as Israel’s prime minister on March 31. Shortly thereafter, the Obama administration confronted Israel’s new leader in a very public way regarding Israeli settlements in the West Bank, an area partially controlled by the Palestinian National Authority. This was an extremely unusual way for an American president to greet the new leader of a liberal democracy that’s a close ally of the U.S. If Jews were prohibited from buying property in New York, London, Paris or Rome, there would be an international outcry. Why, Mr. Netanyahu wondered, should the standard be different for Jerusalem? Mr. Obama is woefully wrong if he believes that his confrontational style will provide an incentive for the Palestinians and the members of the Arab League to resolve the Arab-Israeli dispute. It will simply reinforce the long-standing Arab belief that the U.S. can “deliver” Israel if it only has the will to do so, thereby reducing Arab incentives to make concessions in direct negotiations with Israel. As if on cue, Mahmoud Abbas, the leader of the Palestinian National Authority, announced that he would not negotiate on any issue with the new Israeli government until Mr. Obama’s settlement conditions are met. In addition to the building freeze in Jerusalem and the West Bank, Mr. Abbas insisted on four other unilateral, non-negotiable concessions: First, an independent Palestinian state; second, that Israel pulls back to its pre-June 1967 borders, minus a Palestinian land bridge between the West Bank and the Gaza Strip; third, a Palestinian “right of return” to Israel; and fourth, resolution of all permanent status issues on the basis of the 2002 Abdullah plan calling on Arabs to normalize relations with Israel in return for Israel’s withdrawal to its pre-1967 borders. The “right of return,” in particular, is a non-starter. If Mr. Obama seeks a Palestinian Arab state, he is going about it the wrong way. The fact is that Mr. Netanyahu has endorsed a two-state solution and an end to the expansion of settlements in the West Bank—as long as the Palestinians accept Israel as a legitimate Jewish state and cannot militarily threaten it. Israel has been willing to accept a two-state solution since the United Nations partition resolution for Palestine in 1947, but the Arabs have refused. They are not interested in creating a separate Palestinian Arab state but in destroying Israel as a Jewish state. Such language illustrates an inability to make distinctions. Arabs launched a war against Jewish self-determination and the state of Israel long before any Israeli “occupation” of their lands. When Israel seized land in a defensive war, it was the Arabs, not the Israelis, who kept Palestinian “refugees” in limbo for three generations to await Israel’s destruction. As Mr. Netanyahu reminded Mr. Obama after the latter’s Cairo speech, the Arab claim that Israel was a land grab by the great powers to salve the collective conscience of the West after the Holocaust is a slander. On the contrary, he observed, Israel’s right to its homeland rests on the longstanding historical connection of the Jewish people to the land of Israel. This right was ratified by the unanimous and legitimizing votes of the League of Nations and the U.N. Security Council’s permanent members, and validated by over 60 years of Israel’s successful, democratic statehood. Mr. Netanyahu might also have added that Israel’s control of the West Bank (territory that should properly be called “disputed” rather than “occupied”), was the result of defeating the Arab powers who initiated the Six Day War of 1967. The status of aggressors and defenders is not interchangeable. Neither is the status of victorious powers and defeated ones. Nonetheless, Israel has taken unilateral steps toward peace, steps not reciprocated by the Palestinians. When Israel unilaterally disengaged from the Gaza Strip, dismantling 21 settlements and displacing over 9,000 residents, it conducted the most comprehensive test of the “land for peace” concept in the history of Israeli-Palestinian relations. Yet Israel was rewarded with the creation of a terrorist enclave governed by Hamas, rather than the peaceful, responsible neighbor Israel would need in order to accept a Palestinian Arab state. Unlike Hamas, the corrupt Palestinian National Authority that holds sway in the West Bank has nominally accepted Israel’s right to exist but has never given up the “right of return” for Palestinian “refugees.” That right, if implemented, would mean the end of Israel’s existence. Peace between the Israelis and the Palestinians requires compromises on both sides. U.S. pressure on Israel, without any on the Palestinians, will not achieve the desired outcome. Earlier this summer, the president justified his decision to downplay even rhetorical support for the Iranian protesters who rose up against their government and its fraudulent election. He did not wish the U.S. to appear to be “meddling” in Iranian affairs. He apparently feels no similar constraint when it comes to Israel. Many would have you to believe that all roads lead to God. Is this true? The answer is NO, ABSOLUTELY NOT! 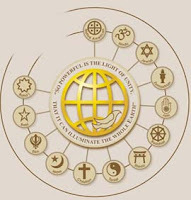 There is a great promotion of WORLD UNITY, WORLD GOVERNMENT AND WORLD RELIGION. CHRISTIAN BEWARE! It says in Revelation 13 that there will some day be a one-world system; a one-world government. Some have termed this “the new world order”. Another term heard frequently that means the same thing is “globalism”. Various organizations are playing into this. The leading ones include the United Nations, the European Union, and NATO, but more minor players would be world trade organizations like the “North American Free Trade Association” (NAFTA). The Antichrist will be the chief globalist and will head up this one-world system during the Tribulation. The stage is being set! Christian Newswire and USA Today have both reported that there will be “Big” events happening simultaneously this week. The UN Climate Conference at Copenhagen is taking place as well as the Parliament of the World Religions in Melbourne, Australia. According to the December 7th article from Christian Newswire -- “Interfaith meetings continue at a great rate all over the world. Many religious leaders will descend at the UN Copenhagen Climate Conference this week. Plus, the Parliament of the World Religions is occurring at the same time in Melbourne, Australia. The underlying desire of government leaders at the Copenhagen conference is to form a world government. A treaty will most likely not be signed at this current conference; however, Christians need to wake-up to the fact that eventually this could happen. Despite questionable climate change research, religious leaders are using the Copenhagen meeting to further their cause of promoting an eventual world religion to go along with a world government. By the way, the newly elected leader of the Parliament for World Religions is a Muslim. At its recent biannual meeting, the Board of Trustees of the Council for a Parliament of the World's Religions elected as its chair Imam Abdul Malik Mujahid. The new leader's term of office begins on 1 January 2010. Abdul Malik Mujahid is an imam in the Chicago Muslim community and president of Sound Vision Foundation, which produces Radio Islam, America's only daily Muslim call-in talk show. Dr Lesher said he considers Imam Mujahid "marvellously equipped" to serve as the board's highest elected officer. "He brings to the chair a deep commitment to his own faith tradition," he said. "The Imam has an understanding of how religion is a force in American society and also in societies throughout the world." However, there are also “Christian” leaders who are promoting interfaith goals. Those like Rick Warren who after speaking at the July 4th Islamic Society of North America’s annual convention, simply left out telling anyone that Jesus Christ is the only way to God, yet boasts that he is reaching Muslims with the Gospel. How? This is not the only grievance I have with him, in a Washington Post interview; Warren was asked how "the church" could help to solve poverty. His response was to rattle off the numbers of Buddhists, Hindus, Muslims and Christians in the world - in that order - and make a plea that the public and private sectors take seriously "the faith sector as the third leg of the stool of successful development". Warren consistently used the language of a religious pluralist. He spoke of "mosques, temples and churches" as central to the life of villages in the developing world. He underscored the fact that there are huge numbers of people of faith in the world, and huge numbers of houses of worship in places where clinics, banks and schools don't exist. Those people of faith can be trained to be the arms and legs of any development plan, and those houses of worship can double as clinics, banks and schools. This is a big deal, because it signals an important turn in the American Evangelical tradition - from viewing people of other faiths primarily as lost souls requiring conversion to viewing them as partners in the plan to make earth more humane and just. "Progressive Evangelicals" like Jim Wallis, Brian McLaren and Tony, have long been involved in interfaith efforts. There is also the issue of the rising Ecumenical Movement. Ecumenical's and Pentecostals joining hands with Rome. Nearly every day we read headlines that indicate the ecumenical movement is sweeping the world. It seems churches and denominations that once took strong biblical positions no longer believe what they once believed. It is common to hear about unity at any cost, however, NOT AT THE FOOT OF THE CROSS. Can Unity Be at Any Cost? There are many different groups, denominations and sects that profess to be “Christian.” Ecumenism, by definition is a human program to bring unity in the name of Christ. However, how realistic is ecumenism in light of the Bible? What if a certain group embraces teachings or beliefs that contradict what Jesus said? Can we join hands in Christian unity then? Certainly true Christian unity is a good thing – that is if the unity is based on biblical truth. However, the ecumenical movement allows for beliefs and ideas that are not scriptural. A Christianity that is not based on the truth of the gospel of Jesus Christ is not biblical Christianity. Bible prophecy reveals the last days will be characterized by a time when a counterfeit bride will be prepared for a counterfeit Christ. Deception will take place in the name of Jesus because the truth of God’s Word will be ignored. This is precisely the spiritual deception that the Lord has warned against in His Word. If all roads lead to God, then why would God send His Son to be the Savior of the world. Why would Jesus have to die on a cross for the redemption of sin laden men? Why would Jesus make the following claims? Jesus of Nazareth’s truth claims exclude all other claims. The Bible says, “without the shedding of blood is no remission” (Hebrews 9:22), and also, “He appeared to put away sin by the sacrifice of Himself” (Hebrews 9:26). It’s time to ask the question: Whose report will you believe? Whose voice are you listening to? Who will you trust? Dear friends, do not be deceived by the WORLD’S SYSTEMS OF GOVERNMENT AND RELIGIONS; or the False Unity and Peace that they promise. Cleave to the Word of God, for in it you will find the LIGHT and LIFE of TRUTH that is the LORD, JESUS CHRIST. Through Him we have an everlasting hope and home! We shall believe the report of the LORD! Is the Discernment 'Gene" Becoming Recessive in the Body of Christ? I engage in many conversations with my fellow Christians about various issues, not the least of which is the current predicament in the church. I'm speaking about the proliferating doctrines, practices and beliefs that are rampant among Christians that follow popular pastors, televangelists, and authors and other leaders that are not biblically sound. Too often I get a frown of disapproval, especially if I happen to be 'picking on' a favorite teacher of theirs, and invariably I get the somber warning: "Touch not God's anointed"! This begs the question of, Who is God's anointed? 1 CHRON 16:16-22 indicates that God's anointed are connotatively, the collective nation of Israel, and denotatively, the prophets of Israel. Strictly speaking then, you can't apply that to any New Testament pastor or teacher; this is not to say that such aren't anointed of God, but that particular admonition is allocated to Israel and her prophets, not the church. On the contrary, we are admonished to receive [any] word (teaching, etc) with a ready mind, and then to search the scriptures to see if these are so (ACTS 17:11). However it seems that in today's church what matters most is the popularity of the message (and the messenger) rather than the biblical accuracy of the message, or conduct of the messenger as being an "approved workman of the Word". This makes me wonder, Where is the discernment in the church today? Why aren't Christians perceiving the leaven, that is, false doctrines that are promulgated in the 'cutting edge' (often mega-)churches? He answered and said unto them, When it is evening, ye say, It will be fair weather: for the sky is red. (2) And in the morning, It will be foul weather to day: for the sky is red and lowring. O ye hypocrites, ye can discern the face of the sky; but can ye not discern the signs of the times? The particular "signs of the times" of that day, were those prophetic scriptures that spoke of the coming of the Messiah, which were being fulfilled directly before their very eyes. Sadly prophecies regarding the Second Coming of the Messiah are likewise being fulfilled before our eyes, and too many Christians are likewise not discerning the coming of the LORD and His arriving Kingdom; believing rather that its up to us to bring the kingdom of God to Earth by making this planet a paradise for the people of the world! The Greek word for "discern" is diakrino, and it means, "to separate thoroughly, to withdraw, oppose, to discriminate, judge, be partial." Interesting that 'to discern' in one aspect, is to judge, while often we are told by others when we attempt to point out doctrinal error, "Judge not, lest ye be judged!" Yet even in that passage we are told to judge good fruit from bad (MATT 7:1-20). In the above passage, the LORD rebukes the religious leaders for not judging accurately the signs of their times, namely, being ignorant of the time in which they were to expect the Messiah of Israel. Here the word for "discern" is dokimazo in the Greek, and it means: "to approve, to test, examine, to prove" One gets the impression of taking samples into the lab and conducting experiments to elicit data and information to either prove or disprove a working theory. Or in the biblical arena, a working dogma or belief. This has the same idea to it as the scripture that admonishes us to "try the spirits" in 1 JOHN 4:1. "Try" is likewise dokimazo. Such a power 'to discern' is a gift of the Holy Spirit, granted to the church, the body of Christ, believers and followers of Christ who received Him, and thus granted the power (authority) to become the children of God (see 1 COR 12:10 and JOHN 1:12). This gift of discernment is associated with the Word of God, for it in itself has the ability to discern between "the spirit and soul, the joints and the marrow, and is a discerner of the thoughts and intents of the heart" as stated in HEB 4:12. In vs. 13 we see that this WORD is Christ Himself - Neither is there any creature that is not manifest in His sight: but all things are naked and opened unto the eyes of Him with whom we have to do. So we can conclude that those who are not babes in understanding, but spiritually mature and accustomed to digesting 'strong meat' or the deep, spiritual things of God will be able to discern, their senses being exercised to distinguish between that which is good, and that which is evil. "let us go on unto perfection" refers to becoming "complete" or to "consummate developmentally". It's not a state of sinlessness, but of spiritual maturity which is obtainable by each and every Christian with the empowerment of God's Spirit. 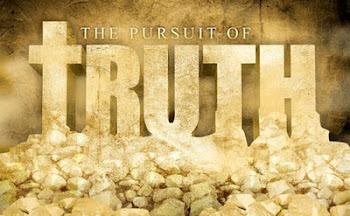 It is the Truth of God's Word, and from the Truth Himself, the LORD Jesus Christ (JOHN 14:6) that we possess this ability of spiritual discernment. Yet if this is the spiritual birthright of the church, why is it that there is so little discernment? Why is it that so many believers are being swept up into these winds of false doctrines? 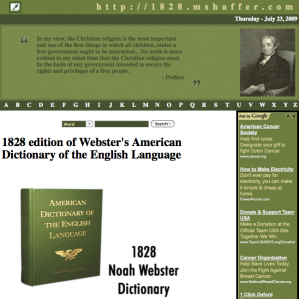 We have already gone over the sources of modern translations as compared to the source for the King James Version in "How Near-Eastern Religion Invaded The West" and these and related articles are provided for the consideration of those who've not yet read them. Thus we are assured that the Word of God has a sanctifying (purifying) effect on us which separates us from the influences of the world, the flesh and Satan and enables God to influence us by His Spirit (for information about sanctification and its doctrinal implications and spiritual uses, please read the articles entitled "The Sanctifier Is The Saint's Fire"). With my whole heart have I sought thee: O let me not wander from thy commandments. Thy word have I hid in mine heart, that I might not sin against thee. That He might sanctify and cleanse it (the body of Christ, i.e., the church) with the washing of the water by the Word. "Walking" in this, and many other passages has to do with one's day to day living - - living in the light of God's Word, in the light of His Spirit, in the light of God's love . . . we are in the position to readily receive daily the cleansing (that word used here is in the perfect present tense, that is, "cleanses continually") influence of God's blood. In this one passage we have both the discerning qualities of God's Light, and the sanctifying influence of the atonement in daily living. Both of these things seem absent to a large extent in the body of Christ. Please understand, I don't stand apart and look down on the church in judgment, I stand with the church and recognize in myself ways that are not pleasing to the LORD. I recognize that I too am in need of greater sanctification. The question I propose is this however: are you as a follower of Jesus Christ endeavoring to walk pleasing to Him, and to be transformed by the renewing of your mind ROM 12:1-2? Are you seeking His avail in ridding yourself of worldliness and tendencies towards sin, and increasing in practical holiness? Each of us positionally in Christ possess holiness already because of Christ's atonement, so that we won't be judged for our sins when we behold God face to face. However practical holiness, this is something we should be attaining to moment by moment and thus conform to Christ daily. We should become Christ-like bit by bit daily in our character and practical living: all of this out of love and devotion to our precious LORD who loved us enough to die for our sins, and provide us with everlasting life! As Charles Spurgeon put it so well, "the Christian is daily active in two endeavors: mortification - the putting to death of carnality, and sinful ways in our lives; and vivification - the obtaining of new life by God's Spirit and achieving Christ-likeness." vs. 1-The Pharisees also with the Sadducees came, and tempting desired him that he would shew them a sign from heaven. vs. 2-He answered and said unto them, When it is evening, ye say, It will be fair weather: for the sky is red. vs. 3-And in the morning, It will be foul weather to day: for the sky is red and lowering. O ye hypocrites, ye can discern the face of the sky; but can ye not discern the signs of the times? vs. 4-A wicked and adulterous generation seeks after a sign; and there shall no sign be given unto it, but the sign of the prophet Jonah. And he left them, and departed. vs. 5-And when his disciples were come to the other side, they had forgotten to take bread. vs. 6-Then Jesus said unto them, Take heed and beware of the leaven of the Pharisees and of the Sadducees. vs. 7-And they reasoned among themselves, saying, It is because we have taken no bread. vs. 8-Which when Jesus perceived, he said unto them, O ye of little faith, why reason ye among yourselves, because ye have brought no bread? vs. 9-Do ye not yet understand, neither remember the five loaves of the five thousand, and how many baskets ye took up? vs. 10-Neither the seven loaves of the four thousand, and how many baskets ye took up? vs. 11-How is it that ye do not understand that I spoke it not to you concerning bread, that ye should beware of the leaven of the Pharisees and of the Sadducees? vs. 12-Then understood they how that he bade them not beware of the leaven of bread, but of the doctrine of the Pharisees and of the Sadducees. vs. 1 The Pharisees seek a sign of the miraculous kind from the LORD Jesus, something blatant, something spectacular. Yet we know that the Spirit of the LORD speaks and leads softly, and gently. vs. 2-3 Jesus states that those in His audience can discern the signs of the skies accurately, for they possess both adequate senses and knowledge for such purposes of weather forecasting. He also rebukes them for their inability to discern the signs of the times, even though here as well, they possess adequate knowledge (the Holy Scriptures), and could obtain the adequate senses if they yielded, sought after, desired the Truth (via the Holy Spirit). They should have been attending to all the counsels of God in the scriptures and not just their favorite passages - they were looking for a warrior Messiah who could conquer their oppressive enemies and the Gentile powers that were "treading down" the nation of Israel. They failed to acknowledge that the Messiah would also be a suffering servant and sacrifice, the Lamb of God. Had they been conversant with these latter passages as they were the former, and had they been watching for the signs indicating His coming, they would have recognized their Messiah, and not had Him crucified! Today the church is either passively looking for Him (when He comes, He comes . . . they're not interested in prophecy or signs of His coming; their view is just be ready for 'when ever' He arrives) or they're not looking at all! This inevitably leads to spiritual apathy (MATT 24:42-51) and to a soul not prepared to meet the LORD their Savior (MATT 25:24-30) or the LORD their Judge (1 THESS 5:1-9)! vs. 4- The only sign given to this "wicked and adulterous generation" is that which had previously been promised to them - the Messiah's resurrection as comparable to Jonah and the whale (see MATT 12:40). It's interesting to note that when Jonah rose up out of the whale, He came with a message of Judgment; likewise Christ Jesus has risen from the dead, and when He returns from where He ascended into heaven (the Mt. of Olives) He likewise will come with Judgment according to righteousness and holiness. 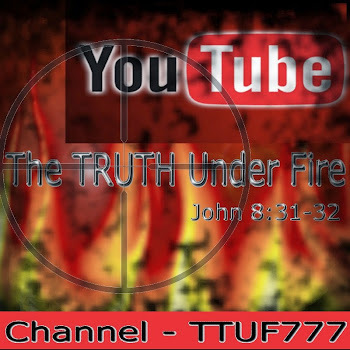 vs. 7-12- He explains further until the disciples realize that He is speaking not of bread but of th false doctrine of these religious leaders. The root source of Truth, the holy scriptures were so heavy laden with interpretational commentaries (Talmud, or more specifically the Mishnah) which in themselves were heeded more than God's Word itself (! ), but also obscured with man-made traditions and customs added to the Truth (and if you add to the Truth, you've just subtracted from it!). The Word in that day was riddled with leaven! Its the same today- its no wonder that the "leaven of the Pharisees and Sadducees" has once again infested the Word of God, only today its the leaven of the Gnostics, Modernists, Liberal Theologians and Emergent Church leaders! Moreover, Christians today are generally speaking, not students of the Word. They let the 'professionals' do all the work. They have their pastors, teachers, CD messages, podcasts and mp3's (and mp4's) who will do all the studying for them, and trust them to deliver God's Word to them. We need our pastors and teachers, for they are indeed God's gifts for the church according to 1 COR 12:28 and EPH 4:11-13, but we also must always maintain diligence of personal study for our own spiritual benefit and edification, as well as for the means of discerning the good from the bad teachings and messages. See PSALM 1:1-2; ACTS 17:11; COL 3:16; 1 THESS 5:21; 2 TIM 1:13; 2:15. That word "bear" in the Greek is bastazo and it means "to lift, to endure, declare, sustain, receive". This is something the Ephesians would NOT do-- they would NOT endure or receive those who were evil and claimed apostleship falsely, finding them liars (how politically incorrect can one GET??). However today if you speak a word against the likes of Benny Hinn, Earl Paulk, Robert Tilton, Joel Osteen, Oral Roberts, Robert Schuller or even Brian McClaren, Rick Warren, Rob Bell, etc. for their unbiblical teachings and statements, you're labeled as "divisive, having no love, full of strife, pride and contention, causing disunity" etc.
. . . one body, and one Spirit, even as ye are called in one hope of your calling; One Lord, one faith, one baptism . 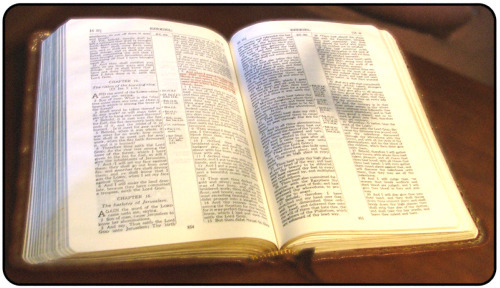 . .
"The faith" is in reference to the scriptures, the body of doctrines contained within the inspired written scriptures of the Bible (JUDE 1:3). Any who would contradict or deny scripture, THESE ARE THE ONES CREATING DISUNITY by denying the Truth of "the faith"!! To the law and to the testimony (the Word of God): if they speak not according to this word, it is because there is no light in them. Compare what these pastors and teachers have to say in these youtube links below with the Word of God; don't be offended that I would call such people into question, because that is our biblical mandate: if it can be proven that what these teach are in agreement with scripture, I would willingly concede and repent of such name-calling. When it should be a matter of simply comparing what these say in their teachings with the Word of God and receive that which is good, and reject that which is bad, Christians today are joining in with what's current and popular, and support such so-called ministers because "pastor says its ok" or "everybody's into it" or "its the latest move of the Spirit". If any are challenged with the doctrine of the Word of Truth, they disparage such believers who "hold fast the form of sound words" and get quite emotional and offended. "The undiscerning root of a tree will absorb anything-- even the very poison that would kill the tree." Since scripture warns profusely that false teachers would proliferate in these last days, and seducing spirits and doctrines of demons would be promoted by a church grown so large that even the fowls of the air (pictures of satanic power) could lodge in its branches, then it stands to reason that biblical discernment is needed now more than ever! Yet what we see is a deplorable lack thereof as the church sinks deeper and deeper into apostasy. What can remedy this situation? How can we get this 'recessive gene' to become dominant once again in the body of Christ, and functioning as it should? As with any recessive gene, the introduction of like genetic material is necessary in order to create a dominance over other genes that would otherwise manifest outwardly. They must once again seek the LORD in His Word (which is the like 'genetic material' as in LUKE 8:5,11 and 2 COR 9:10), and re-establish a daily feasting of such, enter into prayer and 're-connect' as it were in a relationship with the LORD, walking in the Light, in the Spirit, yielding their members to righteousness and not to sin. In this manner the Spirit of God which indwells them will be able to function in and through such a believer and sanctification and discernment will bloom and flourish, working together as the LORD intended! Glory to God! For this reason, and this reason alone we saints should be mourning and fasting for the church here in America while maintaining a faithful diligence in studying, applying and loving God's Word and its Author.